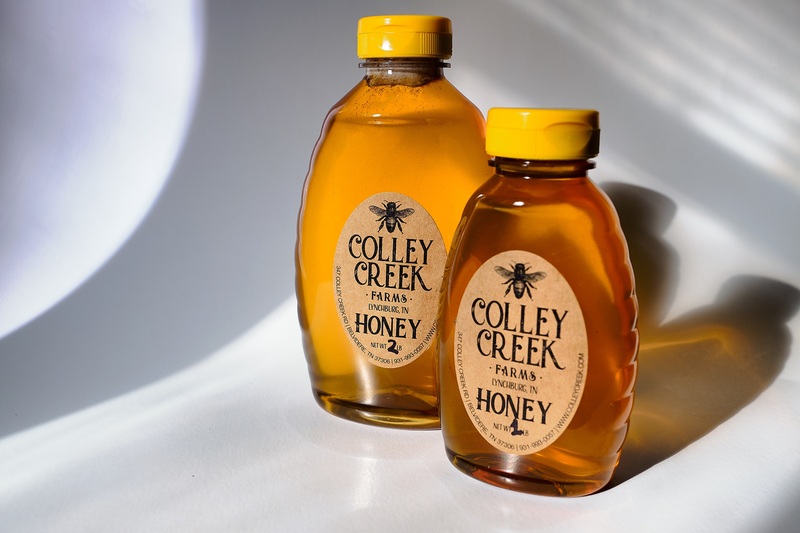 Colley Creek offers the best honey available. Located in Moore County, Tennessee, home of Jack Daniels Whiskey. Give our honey a try and you'll see why our honey sets us apart! Shop Our Honey Selection Now! 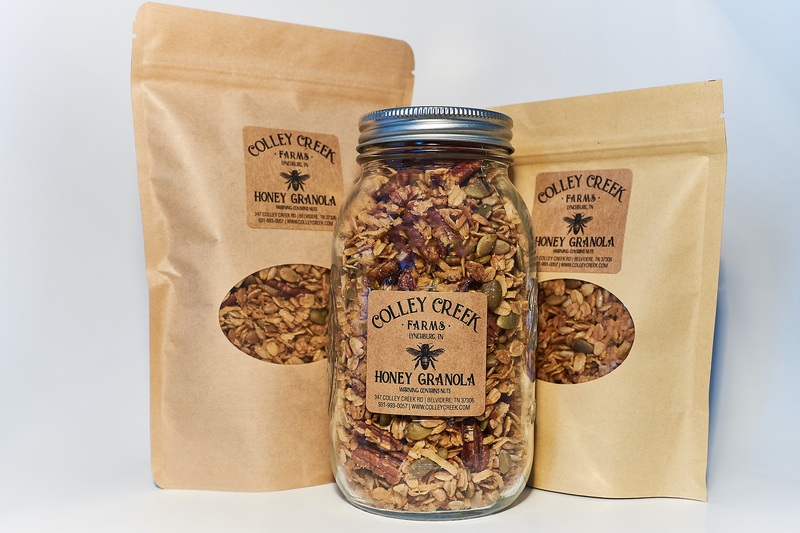 Our homemade granola, will make you understand the term 'made with love.' Produced in our farm kitchen, we've perfected our recipe with just the right blend of sweet and salty. 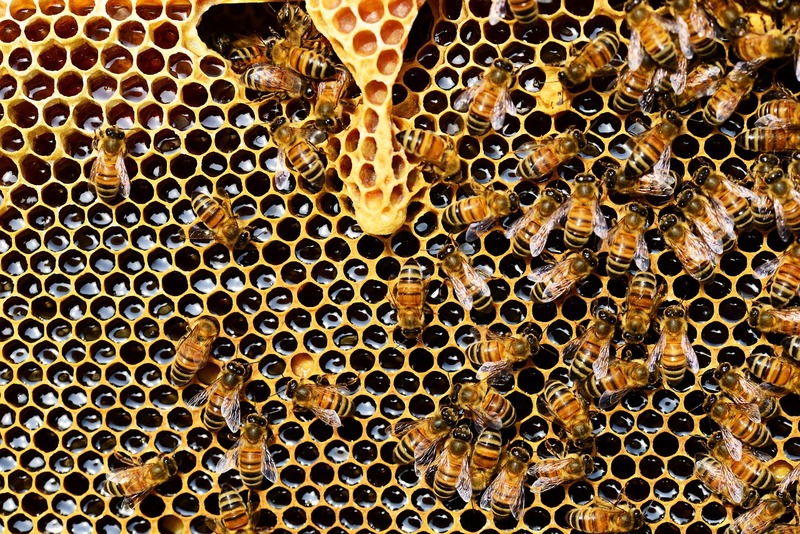 We offer the best quality package bees. Packages are only available in late spring. Be sure to sign up for our newsletter to keep up to date on when we are taking orders. Packages are local pickup only, shipping not available. Colley Creek is not just a farm, it's our way of life. At Colley Creek, everything we do is done with the intention of producing the best possible quality product. Our commitment to you is to deliver items that you will be proud to serve to your family. Because once you become a customer, we consider you part of the Colley Creek Family! 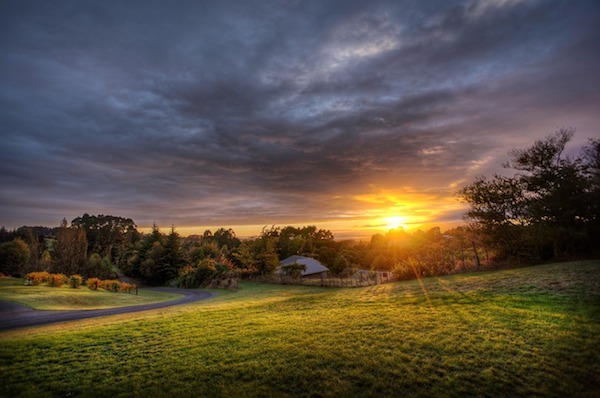 Want to stay up to date on the latest happenings from the farm? We promise we'll never sell your information and only send the most exciting information!